Domain Name Servers (DNS) are a core part of the internet’s backbone. They translate what you type into your browser–www.businessinsider.com, for example -into IP addresses that computers can understand. 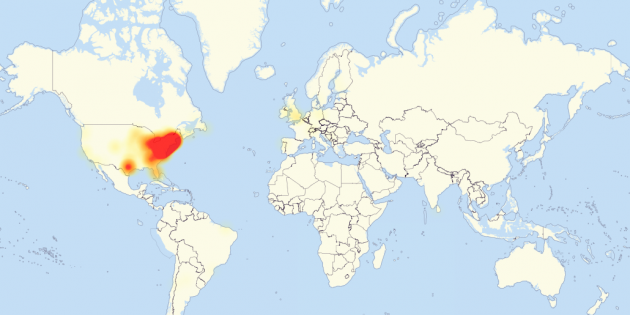 And as it happens, DYN, a major DNS host, is suffering a DDoS attack. DDoS attacks basically mean that hackers are overwhelming their servers with useless data and repeated load requests, which means that useful data–the Twitter IP address–can’t get through. GitHub also says that it seems to be having problems with its DNS host. CNBC reports that Amazon is investigating the internet outage too. “Amazon & DynDNS investigating internet outage reports on east coast of U.S. amid reports of major websites not working properly,” it somehow tweeted.